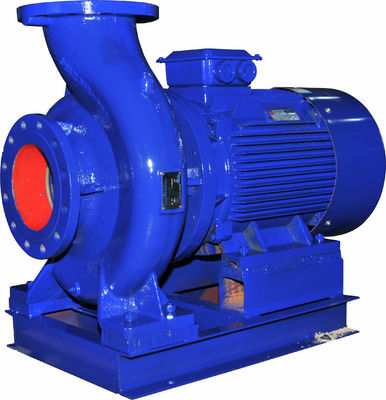 ISW, ISWR, ISWH, ISWY, ISWHY, ISWD, ISWRD, ISWHD,ISWYD and ISWHYD series horizontal centrifugal pumps are optimally designed with domestic advanced hydraulic models, which are based upon the performance parameters of IS and IR centrifugal pumps, and ISO2858 standard. They are a new generation of highly effective and energy-saving horizontal pumps. 1. ISW horizontal centrifugal pumps are used to handle clean water and liquids similar to water in physical and chemical properties. They are applicable to industrial and city water supply and drainage, pressurized water supply in high-rise constructions, ships, garden irrigation, fire-fighting pressurization, distant transportation, heating, ventilating, refrigeration circulation, and bathrooms for cyclic pressurization of cold and hot water, and other equipments. Temperature of service medium not exceeding 85℃. 6. This series of pumps have horizontal inlets and vertically upward outlets for the convenience of pipeline arrangement. 1. 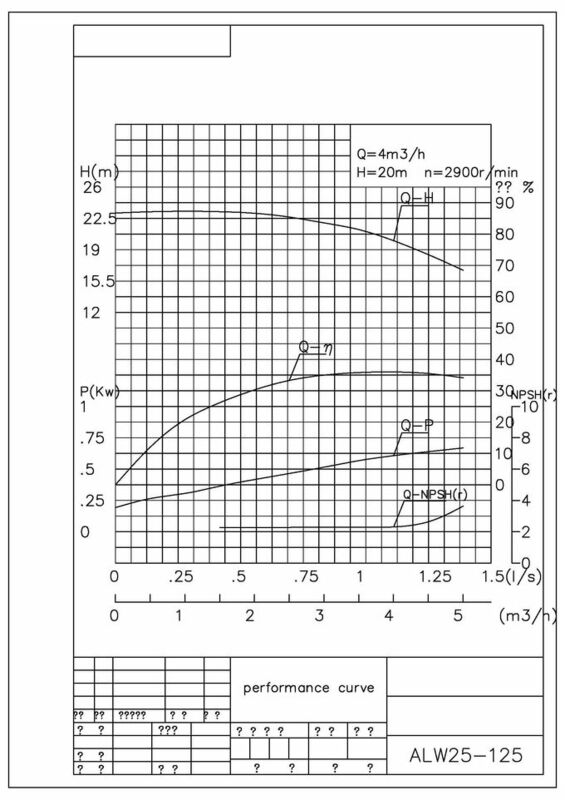 The maximum working pressure of pump system is 1.6MPa,namely pump suction pressure + pump delivery head ≤1.6Mpa. 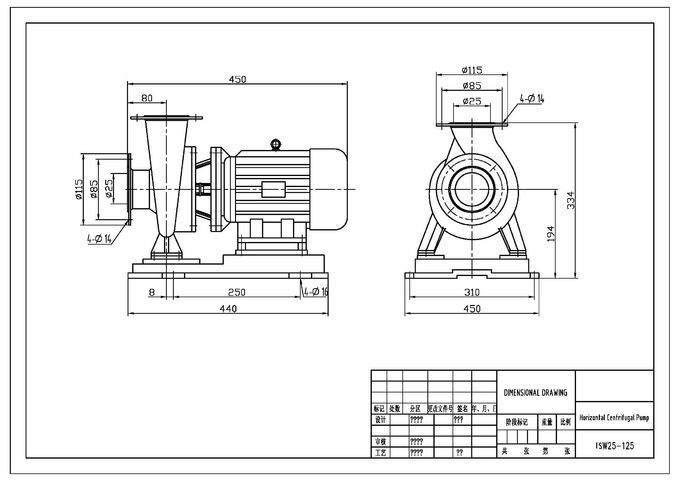 (To acquire working pressure of pump system greater than 1.6MPa should be specified separately when placing an order for our convenience to use cast steel for wetted parts and connection parts in production). 2. The medium to be handled shall be clean water or other liquids similar to water in physical and chemical properties. (To handle medium carrying small particles, please specify when placing an order for our convenience to use wear resistant mechanical seal). 3. Ambient temperature not exceeding 40℃, height above sea level not exceeding 1,000m, and relative humidity not exceeding 95%.